Fuel-efficient yet indisputably sporty, the 2019 Volkswagen Golf GTI is the hatchback your driveway is missing. The well-thought-out design of the Golf GTI is many things, but middle-of-the-road isn’t one of them. That’s why we offer a diverse selection of Golf GTI trims to meet the preferences of every customer. 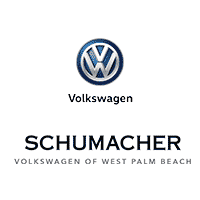 Call to set a day and time for a test drive with us here in West Palm Beach.